Anaheim's Disneyland Park is the second most-visited theme park in the world. After a spin on Disneyland's rides and rollercoasters, families can stretch out along the sands of popular beaches such as Huntington City Beach, Manhattan County Beach, and Newport Municipal Beach and enjoy opportunities for water sports and beach volleyball. 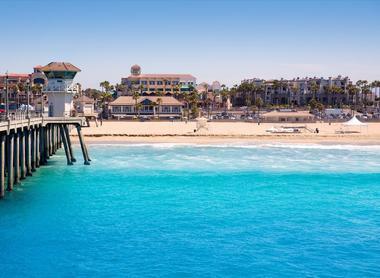 Huntington City Beach and its adjacent state beachfront areas are known around the world as one of the top surfing spots in Southern California, popularly nicknamed "Surf City USA" for their top wave and water conditions. 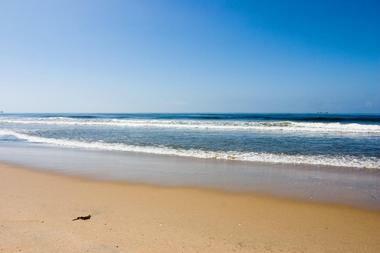 The city-owned beachfront area stretches between Seapoint Street and the entrance to Huntington State Beach, with access provided on the beach's northern end to adjacent Bolsa Chica State Beach and Huntington Dog Beach. 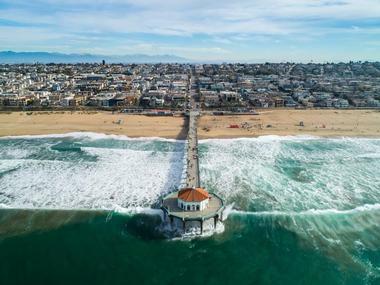 In addition to excellent surfing conditions, the beach is also a popular spot for swimming and sunbathing throughout the warmer months, with fishing opportunities offered at the Huntington Beach Pier. Volleyball courts on the pier's southern end provide opportunities for pick-up games. 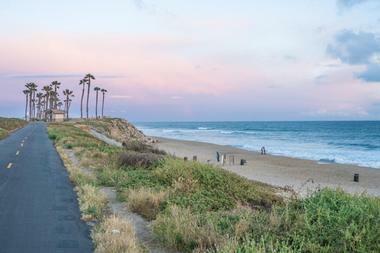 The beach's Huntington Bike Beach Trail is a great spot for walkers, runners, and cyclists to get distance in while admiring the beauty of the nearby coastline. 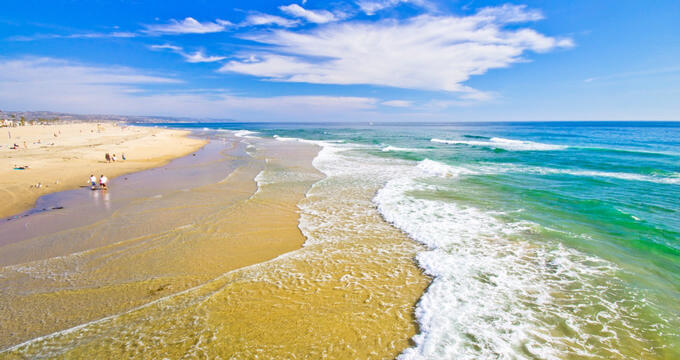 Bolsa Chica State Beach is a lovely three-mile beachfront state park located in Huntington Beach adjacent to Huntington City Beach, stretching between the city's Warner and Seapoint Avenues. The beach is a very popular spot for surfers and swimmers throughout the warmer months, offering extensive stretches of sandy beachfront perfect for sunbathing, relaxing, and lighting bonfires. Visitors can utilize day-use picnic sites with barbecue grills or play pick-up games at the beach park's various beach volleyball and basketball courts. Public amenities include restrooms and showers for easy cleanup after a long day of sand and swimming. The nearby Bolsa Chica Ecological Reserve, located across the Pacific Coast Highway from the beach area, is home to a wide variety of native and migratory bird species, while the Bolsa Chica Bicycle Path connects to the nearby Huntington Beach Bike Trail. Long Beach City Beach is Long Beach's main public beachfront, facing the southern Pacific Ocean coastline along Ocean Boulevard between Alamitos Beach and the Belmont Pier. The beach, which is also referred to as Junipero Beach, was once known as one of Southern California's best surfing spots until the 1940s, when breakwaters were constructed to protect the beach from ocean currents. Today, the beach is better utilized as a swimming beach, though visitors should check on water conditions with lifeguards before entering the water. A paved biking path is available for cyclists and joggers, with ample grassy space offered at the adjoining Bluff Park. 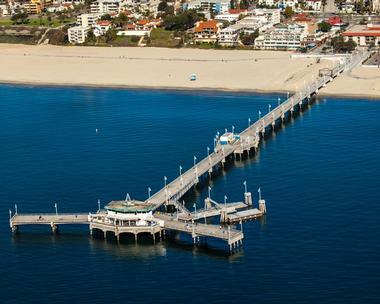 Belmont Shore Beach, officially known as Belmont Veteran's Memorial Pier, is a delightful Long Beach waterfront area stretching along the coastline of the city's Belmont Shore neighborhood between its historic pier and 55th Place. The beach is a great choice for visitors looking for swimming opportunities during the summer months, with generally calm waters thanks to the protection of the Long Beach breakwaters. Areas within the beach include Granada Beach, which offers a public boat launch, and Rosie's Dog Beach, which allows four-legged friends to frolic off-leash. Sand volleyball courts are offered near the pier, and a paved bicycle path stretches north to Long Beach City Beach. Visitors can also swim at the adjacent Belmont Pool during the winter months when water conditions are unfavorable. Seal Beach is the primary public beach of the Southern California community of the same name, which is Orange County's northernmost beach town located between the cities of Huntington Beach and Long Beach. The city-owned beach is frequently packed with surfers and swimmers on warm, sunny summer days, protected from severe water conditions due to its jetty at the entrance to Anaheim Bay. Visitors can glimpse great views of Long Beach from the beach's pier, which also offers a great vantage point for dolphin watching and observing the area's spectacular sunsets. Nearby at Eisenhower Park, visitors can enjoy a children's play area and ample grassy space for picnics, sports, and relaxation. Mother's Beach is a delightful beachfront within Marine Park in Long Beach's Naples neighborhood, located on a nearby barrier island within Alamitos Bay. The charming city-operated beach is a great option for family beachgoers in the Long Beach area, offering a large children's playground and a swimming area protected from strong ocean currents. Kayakers and stand-up paddleboarders can embark from the beach and explore other waterfront areas along the bay. Visitors can stretch out along the island's sandy beachfront areas and grassy lawns, though beachgoers should note that the beach can fill up quickly on summer days and should plan trips accordingly. A concession stand is offered for visitor use, along with day-use picnic areas, restrooms, and ADA-accessible features. Newport Municipal Beach, also referred to as Newport Pier Beach, is a beautiful and spacious public beach that extends between West Newport Park and Balboa Pier Beach, divided in half by the Newport Beach Pier. The beach is a top surfing spot in the Newport Beach area, offering excellent break conditions to challenge novice and experienced swimmers alike. Visitors can stroll along the beach's public pier daily between 5:00am and midnight and fish for a variety of species within the beach's coastal waters. Ample sandy beachfront space makes for great sunbathing and beach volleyball conditions. Nearby, visitors can grab fish entrees from the historic 1891 Dory Fleet Fish Market or bike or jog along the Newport-Balboa Bike Trail, which connects to Balboa Pier Beach. Redondo County Beach is a lovely 1.5-mile sandy beach along the Redondo Beach waterfront, owned and operated by Los Angeles County. The popular surfing beach is reported to be the birthplace of surf in the California area, with a plaque at the beach commemorating its extensive surfing history. Lifeguard stations are located along the beach's coastline, with lifeguards staffed on duty throughout the summer month to keep swimmers and water sports enthusiasts safe. Fishing is popular along the Redondo Beach Pier, with opportunities for walking, cycling, and picnics offered at nearby Veterans Park and along the Marvin Braude Coastal Bike Trail. 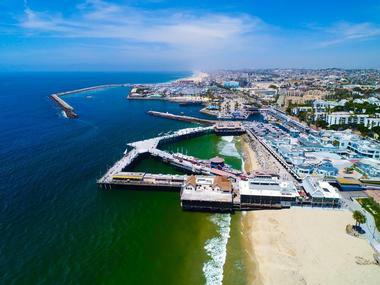 Hermosa City Beach is a spacious city-operated beachfront area that stretches along the entire coastline of the city of Hermosa Beach, spanning from neighboring Redondo Beach's King Harbor Marine to the dividing line with Manhattan Beach at 1st Street. 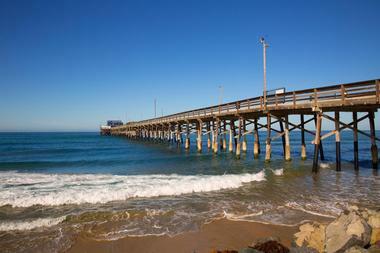 The beach is anchored by the lovely Hermosa Pier, which offers opportunities for coastal fishing and beach strolling. Swimming and surfing conditions are great during the summer months, with beach volleyball courts offered along the beach's shoreline near the pier. The Marvin Braude Coastal Bike Trail connects the beach to nearby Torrance and Santa Monica, stretching for more than 22 miles. Public parking is offered along Hermosa Avenue. Manhattan County Beach is the central public beach of Los Angeles County's Manhattan Beach, stretching for two miles between the city's 1st Street and Rosecrans Avenue at El Porto Beach. The beach is an extremely popular, and often extremely crowded, Los Angeles area beachfront during the summer months, attracting swimmers, surfers, bodysurfers, windsurfers, and sunbathers to its vast shoreline. Manhattan Pier offers opportunities for coastal fishing, while the Roundhouse Marine Studies Lab and Aquarium offers marine life exhibits for families to peruse. Over a hundred sand volleyball courts are available on the beachfront, which is staffed by lifeguards during the summer months. Plenty of public special events are hosted throughout the summer months at the beach, which is connected to Torrance and Santa Monica via the Marvin Braude Coastal Bike Trail. Corona Del Mar State Beach is a lovely beach on Newport Harbor's eastern side within the Corona Del Mar neighborhood of Newport Beach, jointly owned and operated by the City of Newport Beach and the State of California. The beach, which is also known as Corona Del Mar Main Beach, makes for an excellent beachfront getaway for families during the summer months due to its calm, clear water conditions, which are protected from western currents due to a section of rock jetties. Beachgoers can also snorkel, scuba dive, or surf in the beach's water when weather conditions allow. Spacious beachfront sands allow visitors to sunbathe, play beach volleyball, and partake in beachfront picnics, with day-use fire pits and barbecue grills available. To avoid the beach's main entrance charge, visitors can enter at Inspiration Point along the beach's eastern end. Crystal Cove State Park — Los Trancos Beach is an historic beachfront stretch within the designated historic district of Crystal Cove State Park, which protects 46 rustic 20th-century beachfront cottages within a 12-acre coastal area. The beach is divided into northern and southern beachfront sections by its namesake Los Trancos Creek, which meets the Pacific Ocean along the beach's shores. Visitors can swim and scuba dive in the beach's waters during the summer months or use the beach's paved bicycle trail for biking, walking, and jogging along the coastline. A number of the beach's historic cottages are available for overnight rental, with low rates maintained by the state to encourage Californians to appreciate the region's history. Breakfast, lunch, and dinner service is also available at the nearby Beachcomber Cafe, which offers waterfront seating. 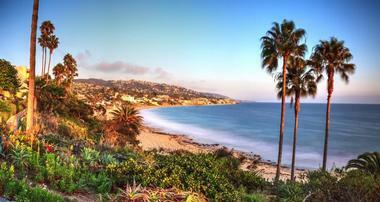 Main Beach — Laguna Beach is the central public beach of Laguna Beach, located within the city's downtown district at the intersection of the South Coast Highway and Broadway Street. 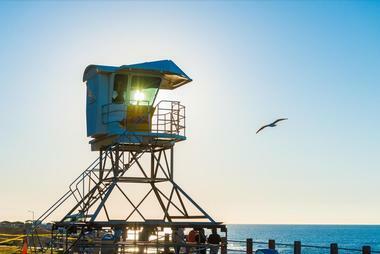 The beach is a prime location for Laguna Beach-area residents and visitors to swim, surf, and bodysurf throughout the year when lifeguards are staffed on duty. Visitors should note that surfing is banned during the summer months, as strong rip currents can quickly lead to dangerous water conditions. Basketball and beach volleyball courts are available for day use, along with a children's playground and a public beachfront boardwalk. The beach is pet-friendly at select times throughout the year, with the exclusion of peak daytime hours between June and September when the beach is busiest with visitors.